Peaceful & elegant 12 white roses in a glass vase. 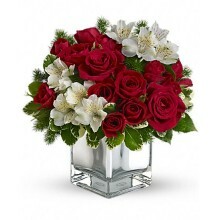 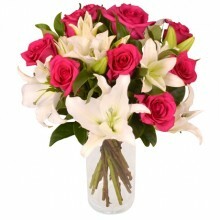 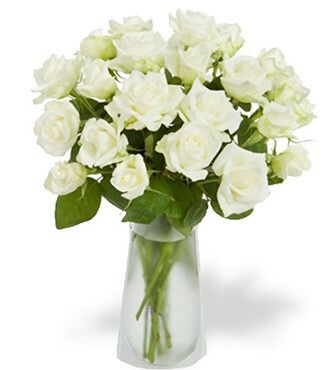 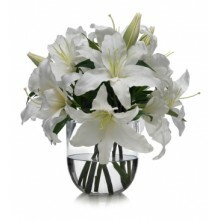 This arrangement features 12 white premium quality national roses in a glass vase. 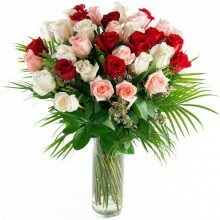 The picture is illustrative but on the same quality standarts as the bouquet delivered. 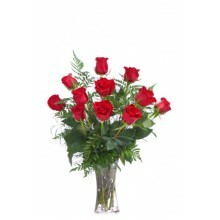 Packaging and greenery may differ according to availability of our local florist however we guarantee the effect and satisfaction of recipient.